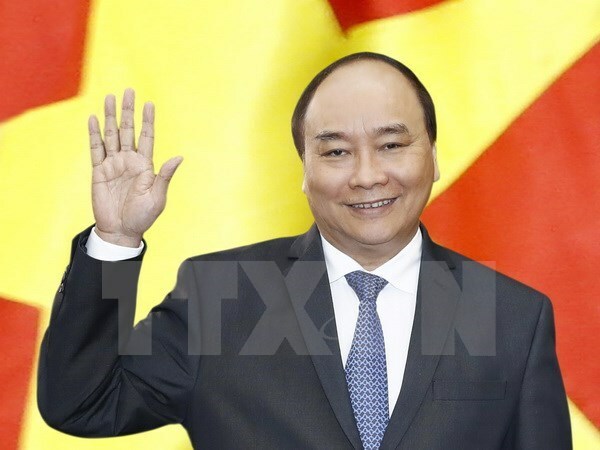 Hanoi (VNA) – Prime Minister Nguyen Xuan Phuc and a high-level delegation left Hanoi for a three-day official visit to Thailand on August 17. The visit is made at the invitation of Thai Prime Minister Prayut Chan-ocha in the context of the two nations celebrating their diplomatic relationship, which was established on August 6, 1976. Phuc’s entourage includes Minister – Chairman of the Government Office Mai Tien Dung, Minister of Industry and Trade Tran Tuan Anh, Minister of Agriculture and Rural Development Nguyen Xuan Cuong, Minister of Information and Communications Truong Minh Tuan, Minister of Science and Technology Chu Ngoc Anh and Governor of the State Bank of Vietnam Le Minh Hung, among others. In 2013, Vietnam and Thailand lifted relations to strategic partnership during Party General Secretary Nguyen Phu Trong’s visit to Thailand.